Exced.ai | Who's Afraid of Automation? There are things that you do every single day that you wish could be done by someone else. Administrative tasks that eat away at your time, organizational tasks that drain your energy and menial tasks that waste your life force. But imagine a time when machine learning capability is advanced enough that you don’t have to spend your time on these things. Where because of the innovations of artificial intelligence and self-learning machinery, you can spend time on creating meaningful work that doesn’t drain your energy, but instead, energizes you. In the intellectual age, using your time efficiently cannot be understated. Competitive salespeople and companies at large cannot afford to be wasting their time on procedures that can be automated. That doesn’t mean that people’s jobs will be taken away by machinery. On the contrary, people’s jobs will be made easier, more enjoyable, less filled with draining tasks. People will work with machinery to multiply their productivity and customer outreach. The fear that machines and artificial intelligence will take away jobs comes from a scarcity mindset. A mindset that there is not enough to go around and that you need to ruthlessly compete with people to get ahead is not the truth! Is there natural competition in the marketplace? Of course. Does it need to be cut-throat and unethical? Absolutely not. There is plenty of work to go around. An abundance mindset comes from a belief of high self-worth and security. A scarcity mindset comes from a place of insecurity, fear, and anxiety, whereas in an abundant mindset, your thinking is not founded in fear and you are capable of creating positive, mutually beneficial circumstances. People will work with machinery and artificial intelligence to become more efficient and more capable. If a machine can multiply our workforce, it should. More importantly, our energy is not infinite. We have a certain amount of mental strength that we direct daily and if it’s not directed in a focused way, development is stagnated. AI is that mental stamina. Self-learning, self-updating and self-analyzing machine intelligence allows you to focus your precious mental focus on things that bring results. Managing your energy allows you to use your creative mental strength where it is needed and avoid wasting that mental focus on routine tasks. When a team directs their mental strength towards a specific goal, the results are unbelievable. But when corporations bombard employees who are creative and have limitless potential with draining administrative tasks, their efforts are misused. 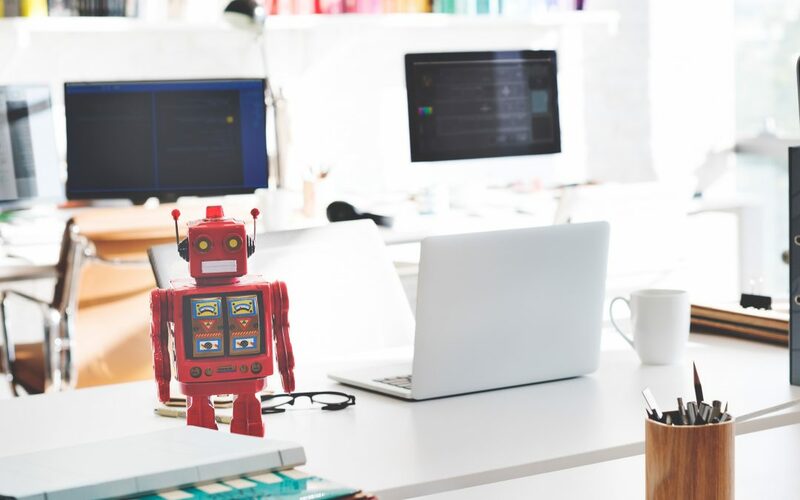 Using artificial intelligence and machine learning to remove the load from your workers, reach more customers, and increase your sales is beneficial for everyone involved. Personally, I’m excited that this is just the beginning of the growth of the AI market and to see the growth of this potentially infinite enterprise. Read more about how automation and AI is changing marketing and sales here.